A two-day course dedicated to demystifying the brooch back and pin stem mechanism. Students will saw, drill, pierce, texture and use soldering/cold connection techniques to assemble pieces. Through discussion regarding design consideration and practical application, students will be presented with a variety of approaches to making pin stem and complete making wearable work. 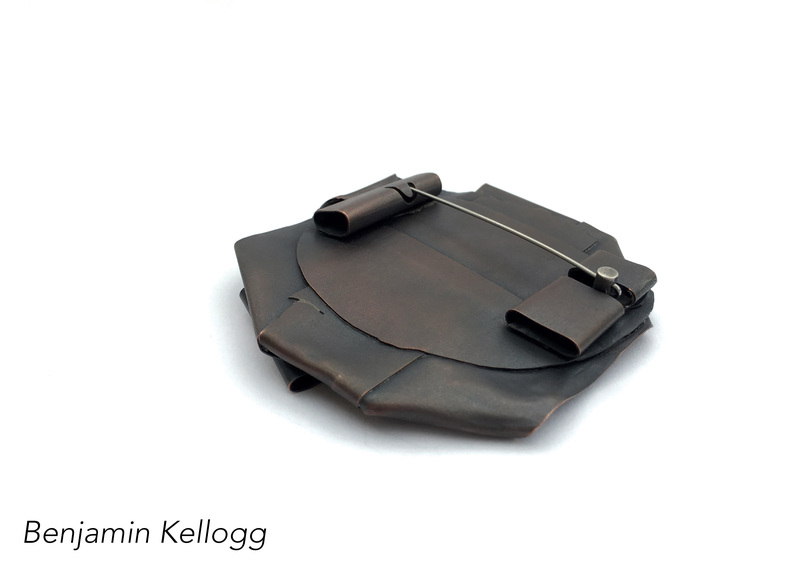 Benjamin Kellogg is a contemporary jeweler, educator, and recent MFA graduate from the metals program at SUNY New Paltz, where he also completed a Bachelors of Science in Visual Arts Education. He has received training in jewelry and metalsmithing from various craft schools including the Penland School of Crafts and the Haystack Mountain School of Crafts. Benjamin has exhibited his work internationally through selected exhibitions, pop-up exhibitions, and co-curated a group show for the 2017 Society of North American Goldsmiths NEXUS conference. Motivated by his experiences in education, he investigates how acts of play, bound by self imposed structure and rule, can be used as an iterative approach to a studio practice and making. Supplies provided with additional supplies available for purchase. Click the button below to add the CMJ 054-W19 | Brooches: Looking at the Back to your wish list.